There once was a time in Canada when you could work at one or maybe two jobs until retirement, collect your pension and enjoy the golden years of your life. There was also a time when very few women worked outside of the home. If they did, it was most likely part-time work where the income was supplementary to her husband’s income. Today, Canadians can expect to work well beyond the traditional retirement age. Also, Canadian women have entered and succeed in all kinds of professions. They have even launched their own successful careers while juggling family responsibilities at the same time. Mabel Robinson, the energetic 90-year old star of Teresa MacInnes’ 20-minute short film Mabel (2016), is one of those pioneering Canadian women who did just that. Short Film Fan: What motivated or influenced you to make Mabel? Teresa MacInnes: I have always been attracted to the wisdom and charm of older people. I had a close relationship with my grandparents growing up and three of them lived out their final years in our family home. So, when I met the iconic beautician, Mabel Robinson, I immediately saw the potential for an engaging documentary about her and the elderly clients she continues to serve. Like my grandmother, Mabel made me laugh and inspired a deeper perspective on work, life and beauty. She also reminded me of the importance of having older women in my life and on the screen. When I brought the idea to Annette Clarke at the NFB Atlantic Studio, she was also charmed by Mabel and felt it was an important story to tell – a story that highlighted not only women in their golden years, but also people living in rural Nova Scotia. Annette’s support and encouragement gave me the time to shape the story and to create the film. SFF: What challenge or challenges did you face when you were making this film? TM: I have been making feature length and television documentaries for 30 years, so I think the biggest challenge was keeping the film under 30 minutes. Mabel is an amazing woman and the story I tell is only one aspect of who she is. She is an accomplished knitter who sells her gorgeous hats, mittens and sweaters at the farmer’s market. She plays poker and bingo. She is a dedicated volunteer and has a rich circle of friends. But, doing a short portrait was the plan from the beginning and I am glad I took that challenge on. I love the short format and hope to do more in the future. SFF: Do you have a memorable moment that occurred when you were producing Mabel? TM: The entire experience was memorable and spending time with Mabel and her clients was exactly what I needed in my life at that time. I was grieving my father’s death and was feeling a bit weary from years of making some pretty intense films. Mabel gave me another perspective and I now look at my work and my life in a very different way. I will always be thankful to her for that. SFF: What has the audience reception towards the film been like since its release? TM: When Mabel premiered at the Atlantic Film Festival, CBC News did a story about the film and it went viral; generating millions of views and hundreds of heartfelt comments. Because of this, the demand to see Mabel was immediate. As a result, the NFB decided to release it online via the NFB.ca site and YouTube. The ability to send a link and have it so accessible has been great, but it also means I haven’t had the pleasure of watching it with an audience as much as I would have liked. But, I am happy it is out there for the world to see and the NFB has done a great job of promoting it online. SFF: What message or messages did you want to get across to the audience with Mabel? TM: For me, Mabel is a trailblazer; a woman who not only broke barriers when she was young, but is also breaking barriers as a senior. Rooted in community, she is a celebration of doing what you love, of the importance of friendships and of staying active as you age. Short Film Fan Review: This was a gem of a short documentary. It was heartwarming to see and experience the life of an extraordinary woman that came from a quiet place such as Hubbards, NS. Her focus and determination to get that career going as a young woman should be an inspiration to other young women and men. Conversely, those who are already lucky to be working in a career that they enjoy would want to think twice before considering retirement – why stop doing something you like to do just because you reach a certain age? The use of animated photos gave the documentary a certain charm that brought her past to life. Mabel is a short film that all can enjoy and it is certainly destined to become one of the National Film Board’s classic documentaries. One pleasurable aspect about watching a short film is the storyline. Short film storylines are most often relatable, such as relationship issues or navigating the workplace. As a result, a story has the power to draw in the viewer and make such an impact that he or she is able to quickly identify with the characters and plot. Short film lovers in the East Coast will have an excellent opportunity to resonate with a wide variety of stories at the 35th annual Atlantic Film Festival in Halifax, Nova Scotia. The shorts that will be featured were written and produced by a number of East Coast filmmakers, as well as from other parts of Canada and the world. This year’s festival takes place September 17th to 24th at the Cineplex Cinemas Park Lane. The festival will also include CBC’s presentation of the Reel East Coast Gala, based on the television program of the same name that was broadcast in Atlantic Canada this past summer. Jason Beaudry, Program Director for Atlantic Film Festival, shared some of his thoughts about what the short film community can expect to experience at the festival and his insight into the storytelling talent of East Coast filmmakers. Short Film Fan: The shorts Alien Love Story, First Weekend, Chase the Ace, Before the War, Una forma de partir/ A Way To Go, Wanderer, Not My Brother, A Suicide at the Gun Range and Arty were all picked for the Reel East Coast Gala. Why were these particular films chosen? Jason Beaudry: There is an incredibly broad range of short films being made in Atlantic Canada and we want the Reel East Coast Showcase Gala to reflect this. Animation, documentary, drama, comedy and more from all four Atlantic provinces is included in this year’s Reel East Showcase Gala. They really show what is possible here on the East Coast. SFF: Will there be any Q&A sessions with the filmmakers or an opportunity to present audience choice awards at the showcases or Gala? JB: There will be Q&A sessions for all our showcase screenings with the exception of the Gala. With the number of people attending the Reel East Showcase Gala, it makes it somewhat unruly to have a Q&A. SFF: A total of 57 East Coast short films will be screened at this year’s festival. Those are a lot of short films from a lot of different filmmakers from the Atlantic region. How do you account for such a high number of filmmakers coming from this part of Canada? JB: Folks from the East Coast are natural storytellers and we’ve seen this through music and literature going on for hundreds of years. Film is a new tool in their repertoire, but they’ve put it to good use. And the democratization that’s happened through the current accessibility & cost of filmmaking equipment makes it easy for a storyteller to take that leap. I’d have to say that it’s a very difficult process to select films from this region every year. There are usually three times more films than we can select for the Festival. And we’re happy to say that over 50 additional short films from Canada and the world will be added to this year’s lineup, so festivalgoers will be able to see for themselves that films from Atlantic Canada stack up to the best in the world. SFF: What do you hope the audience will take away from the festival after experiencing all these films? JB: Representing and showcasing Atlantic Canadian-made films is near and dear to the heart of the Atlantic Film Festival. As we’ve said on countless occasions, these stories have to be seen and these voices must be heard. East Coast film making is world class. From the Atlantic Gala of Stephen Dunn’s remarkable Closet Monster to the very last Reel East Coast Showcase, the films were made in our region and stack up against anything the world has to offer. Now more than ever, it’s important that festivalgoers take note of them and celebrate their achievements and lend support to their future. Jason makes a crucial point to expand upon. By celebrating and supporting the talents of Canadian short filmmakers, we can encourage them to produce more fascinating stories that all fans are able to enjoy. More stories mean more short film career opportunities, which in turn, could assure a healthy future for Canadian short film. We wish everyone at Atlantic Film Festival all the best for a successful festival. For festival details and tickets, visit their website at www.atlanticfilm.com. You can also get up-to-date information from their Facebook page and by following them @thefilmfest on Twitter. Someone once said “do what you love and the rest will follow”. Certainly good fortune has followed the love Lisa Rose Snow has shown for the arts and short film making. 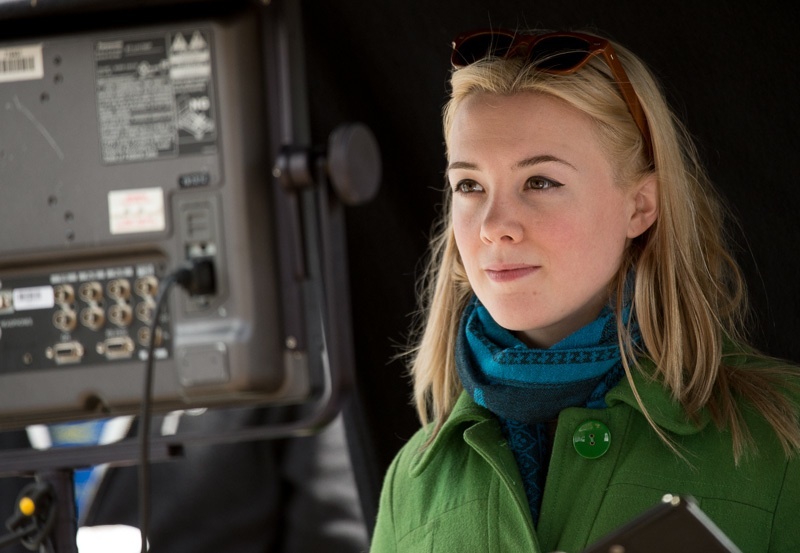 Lisa Rose Snow is a young film maker originally from Nova Scotia who now resides in Toronto. Since childhood, she has involved herself in a variety of artistic pursuits, including acting. Her onscreen credits include appearances on the CBC comedy program, ‘This Hour Has 22 Minutes’, and the 2002 mini-series, ‘Trudeau’. Her experience in acting then led her to learn more about film making. As a result, Snow won the Best Canadian Short Award at the Silver Wave Film Festival with her short film ‘Two Penny Road Kill’. As well, she picked up the Audience Best of the Fest Award at the San Jose International Short Film Festival and the National Screen Institute Drama Prize for her short, ‘When Fish Fly’. In 2013, Snow established Organic Water Productions Inc. with her friend and producer, Lora Campbell. The production company focuses on female-driven stories with realistic and complex characters. Short Film Fan recently caught up with Snow to learn more about her background, her career path and her insights into the Canadian short film industry. Short Film Fan: At what point in your life did you decide that you wanted to become a film maker? Lisa Rose Snow: I’ve been involved in the arts since I was a child, taking piano, dance, and acting lessons since an early age. My first time on a film set was when I was in high school on the CBC mini-series, ‘Trudeau’. I continued to act and about five years ago, began learning and experimenting and mentoring under some wonderful people behind the camera. I can’t imagine doing anything else. SFF: What specific challenges do you face as a film maker when producing a short film? LRS: There are many challenges short film makers encounter when producing a short, and a lot of them are similar to the challenges of producing a feature! Even though the projects are shorter, there is still much paperwork, prep and factors that arise out of your control. And funding – there’s always the challenge of funding. SFF: Last year, you were one of the competing film makers on CBC’s ‘Short Film Face Off‘ with your film, ‘Two Penny Road Kill’. What was it like being on the program and what did you take away from that experience? LRS: It was a real honour to be a part of ‘Short Film Face Off’. It’s an incredible program and it really highlights the talented shorter form work coming out of Canada. It was a great chance to meet film makers whom I admire, and have a chance to share my story with a larger audience. I am always intrigued by audience reaction and love having an opportunity to have dialogues with people who may not have seen the film otherwise. SFF: Your film short film, ‘When Fish Fly’, premiered at The One Film Festival in Ottawa on May 23rd. In your opinion as a film maker, how important is it that film festivals such as this feature short films as part of their programming? LRS: ‘When Fish Fly’ had its Ottawa Premiere at The One, and we were so happy to have a chance to play at this new festival. I think it’s extremely important to program shorts. It’s always so interesting to condense a story down to its essence, and with a short you really get to focus on what it is you’re trying to say. Also, there are so many great short film makers in the world; a shorts program is a perfect way to see a variety of artists’ work. SFF: Can you tell us more about, ‘When Fish Fly’? Where can we watch it if we can’t attend The One? SFF: Do you have any new short film projects on the horizon? LRS: I always have a number of projects on the horizon; that’s the way it seems to work; various projects in various forms of development/completion. I tend to focus on women-driven character pieces, and have an action adventure short in pre-production that takes place in the 1920s and a family comedy about an 8-year-old girl’s first crush. SFF: In your opinion, why do you think people like to watch short films? LRS: People these days can have shorter attention spans, and because everyone’s time is so precious, a short gives them an opportunity to have a mini-escape, feel some feelings, but still be able to get all their own stuff done. SFF: What are your hopes and predictions for the short film industry in Canada? LRS: My hopes are that it continues to flourish and continues to be funded. There are a few really great programs that offer some financing and opportunities for broadcast, so my hopes are these programs continue to be active and supportive of sharing Canadian content. SFF: Do you have any advice for any up-and-coming short film makers in Canada? LRS: Just do it! Nike really said it best. Don’t just talk about making shorts; actually make them. And don’t be afraid to ask questions; people will help you! I owe a lot to the people who let me pick their brains and ask a million questions, and patiently shared their knowledge and skills. Also, make sure you are doing it for the right reasons. Do you have a story you need to share? Then share it! Don’t do it for glory. Don’t do it for money. Just do it for the love of it. ‘Rhonda’s Party’ (2010) was directed by Ashley McKenzie, written by Christine Comeau and produced by Nelson MacDonald. Rhonda is an elderly retirement home resident who has organized a 100th birthday party for her friend, Margaret. Unfortunately, Margaret passes away in her sleep the night before her birthday and the party. The ward nurse, Amy, is faced with the unpleasant task of informing Rhonda of Margaret’s death. The party’s guests have arrived, as well as a birthday cake and a band. But does the party go on? Amy (as played by Karine Vanasse) in ‘Rhonda’s Party’. Photo courtesy of Ashley McKenzie. In my opinion, the film dealt with the topic of death very well. Everyone handles death differently, and so did our two main characters. I admired Rhonda’s strength in handling her friend’s passing and her decision to attend the birthday party in the end. Amy handled the death with professionalism, yet showing personal compassion for Rhonda. It seemed like Amy needed to see that party happen for everyone. The party presented some brightness and healing to an otherwise dark and sad situation. Amy’s smile on her face showed that the party truly had a positive effect on the residents. 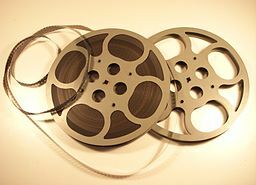 I’ve seen ‘Rhonda’s Party’ on CBC’s Canadian Reflections, as well as Rewind Channel‘s short film show, Homegrown Shorts. You can also catch it on NSI’s Online Short Film Festival. The film has had the distinction of being named as a Top 10 short film by TIFF in 2011, and won the $50,000 grand prize in CBC’s Short Film Face Off that same year. I also recognize Karine Vanasse, who played Amy, from other Canadian and American film productions. Click below to follow Short Film Fan and receive notifications of new posts by email. From ‘Good-Bye’ To ‘Good To See You’?